At HBXL we are always very happy to receive positive feedback. Whether this comes in the form of customer testimonials or industry awards. The recognition is what makes all the hard work spent on ensuring our software is the best on market and up to date with all the latest industry developments, worthwhile. Below you can find a brief summary of all the awards HBXL has won, or been shortlisted for throughout 2016. Softech are a tech publication read by over 43,000 software industry personnel. Winning this award means we have been carefully scrutinised over the past 12 months on our commitment to innovation, our methods and in comparison to our competitors to recognise EstimatorXpress as the industry leading estimation software. 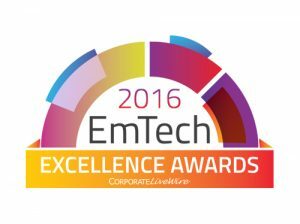 The Emtech Awards hosted by Corporate LiveWire recognise companies and products that provide innovative breakthroughs that adapt the way an industry works leading a tech revolution. This is something we are obviously very proud to be recognised for as we hope to provide software solutions that aid builders and developers nationwide. Corporate Vision created the Technology Innovator Awards to recognise and reward the firms behind groundbreaking developments that change the way we do business. We are very proud for EstimatorXpress to be recognized as the best estimation software having been heavily reviewed and analyzed by their dedicated research team. Our commitment to R&D, improvements and the dedication of our diligent Support Team shows just how much customer satisfaction means to us. That is why we are just as proud to win awards for customer service as for the products themselves. 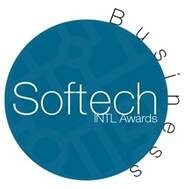 As mentioned Softech rigorously analyse a company inside out to discover whether they are worthy of an award. This is why we are very happy to have received this award for excellence in customer service. We often state how our Support Team is a major factor that separates us from the competition as no one else offers the level of assistance and the commitment we do on a daily basis. Our user satisfaction ratings consistently above 94% are now supported by this excellence award. At HBXL we like to think we play a part of the construction industry’s transition into the era of technology. Our aim is to help builders and developers reap the benefits of embracing technology. Whether this is to help reduce time, effort and money spent estimating, drawing up plans, ensuring health and safety measures are in place or drafting contracts to protect businesses, HBXL are here to help. That’s why it feels great to be nominated for awards that recognise our endeavour to help our users. HBXL are happy to announce our inclusion in the running for a Lloyds National Business Award 2016 in the category of Vonage Business Enabler of the Year. This means that HBXL products and our top rated support team help builders and developers nationwide to increase their profit, improve their efficiency, win more business and all with less time and effort spent. We are disappointed not to have won but we are also very pleased to have been considered for such a prestigious award and to have been competing with other fantastic companies across the UK. Being entered for a UK IT Industry Award from The Chartered Institute for IT demonstrates we are meeting the benchmark for the UK computing industry at HBXL. The Small Supplier of the year 2016 recognises small technology firms for their software, their levels of customer satisfaction and the benefit to users. 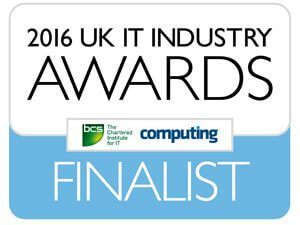 We are grateful to be shortlisted in this category and look forward to winning it next year! You can’t have them all. 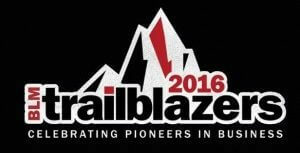 We also are pleased to announce that our very own MD, Adrian Wild has been selected out of over 100 nominations to be featured in the Trailblazers Top 40! This means he is part of a prestigious selection of people who are being recognised for being a pioneering, innovative and outstanding leader by Business Leader Magazine. On top of all this we have been included in the shortlisting for CIO Applications’ ‘25 Construction Applications Transforming Business’ award. Our software is contributing to a wider change in the construction industry. Embracing technology in order to improve efficiency, speed up time spent producing plans, estimates and all other documentation and ultimately returning a higher profit. It’s safe to say we are pleased with how the year has gone for us! BUT, don’t think for one moment we’ll sit back and let these awards carry us. HBXL are always looking forward to make sure our software and company remains at the forefront of the industry.